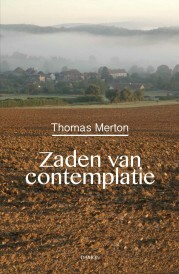 Binnen de cisterciënzerwereld lijkt een en ander in beweging, met name omtrent het naar elkaar toe groeien van de verschillende, in de loop der geschiedenis uiteengegroeide takken binnen de familie en omtrent het zoeken naar vormen om ook niet-monniken te laten delen in de cisterciënzerspiritualiteit. In maart 1997 kwam daarrond, in het kader van de grote eeuwfeestviering, een ‘synaxis’ bijeen op de plaats waar negen eeuwen geleden alles begon: Cîteaux. 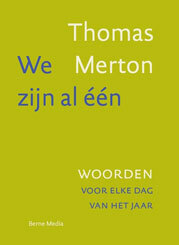 We hebben het gevoel dat Thomas Merton zich in heel wat van wat daar besproken werd, zou kunnen terugvinden. Hier volgt het slotdocument dat na deze bijeenkomst werd opgesteld. On the occasion of the celebration of the ninth centenary of Cîteaux, the mother of us all, we have come together in this holy place, at the invitation of the two Abbots General, in the hope of finding means of moving towards that unanimity and charity that our Founders so ardently desired. These have been happy days; a high level of mutual acceptance has made possible an open dialogue between brothers and sisters in which we have experienced that diversity need not divide us. Our reflections were shaped by the public reading of the letter addressed to all members of the Cistercian family by Pope John Paul II. 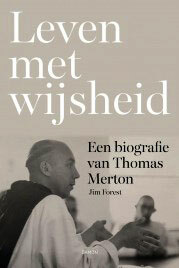 We are greatly encouraged by his profound understanding of our Cistercian way, and by the clarity with which he sets before us the challenges of this present time. The Holy Father reminds us that our life has a prophetic character. We are called to be “ardent and enthusiastic witnesses of the search for God”; our communities are to be centres of light for the Church and for the world, hospitable homes for all who seek God. We recognise, moreover, that it is together that we shall fulfil this role: “in true communion, in mutual confidence and in the respect for the traditions inherited from history”. It is together that we must reread the Rule of Saint Benedict and our Cistercian sources, in the light of t he signs of the times. The communion we seek is not a matter of juridical union or uniformity of observances. It derives from our common appreciation of the gift of a Cistercian vocation, from a profound respect for the integrity of different expressions of the Cistercian charism, and from a desire to grow in mutual affection and friendship. It is a unity constantly to be received with gratitude, and constantly to be built in humility and truth. It is our hope that the grace of this Synaxis will find an echo in the hearts of all our sisters and brothers, including the lay associates. We call each of our communities to do what is possible at every level to ensure the growth of communication, dialogue and collaboration between the diverse members of the Cistercian family. In particular, we ask our Superiors General to form a commission with the mandate of continuing the work of this Synaxis, and the promotion of everything that advances our communion. It has been our privilege to participate in this first Synaxis of the Cistercian family. In particular we have rejoiced to have been associated with the opening of the renovated church at Cîteaux. We make our own today the words which Dom Sighard Kleiner spoke at the dedication of this Church in 1969: “May the inauguration of the new church at Cîteaux waken our minds to seek out new ways of bringing into effect the intentions of the Charter of Charity and of giving new life to the spirit of our holy Founders”. And may God who has begun this good work in us, bring it to completion on the day of Christ Jesus. Amen.